Growing up in Philadelphia, Valerie Adams-Bass had what she considers a well-rounded adolescence, marked by an esteemed education and fulfilling cultural experiences. Upon finishing her undergraduate degree at Philadelphia University, Adams-Bass began working as a mentor for Philadelphia Futures, a nonprofit organization that helps provide resources to low-income and first-generation college students. She quickly realized that many of Philadelphia’s youth were not afforded the same experience she had enjoyed. After working on the ground in the youth-development field, Adams-Bass decided to put her newfound passion into the pursuit of graduate work. She went on to earn a master’s degree in education from Temple University and a Ph.D. in applied psychology and human development from the University of Pennsylvania. Along the way, she worked with 4-H programs in New York and Pennsylvania and conducted research in Namibia, South Africa and California. Now Adams-Bass is bringing her research-backed expertise in youth development to the University of Virginia’s Curry School of Education, as she joins the faculty of the Youth and Social Innovation program – a relatively new venture that aims to arm UVA students with the skills necessary in designing and implementing effective youth programming and policy. “I’m looking forward to gaining newer perspectives from the students while growing my research on how to prepare and train professionals who work in our communities,” she said. Adams-Bass arrives at UVA following a post-doctoral fellowship at the University of California, Davis. There, she worked on a project sponsored by the Bill and Melinda Gates Foundation that examined how public school districts throughout the country are integrating educational technology into their classrooms. Prior to pursuing her graduate education, Adams-Bass had a stint as a youth extension agent in Penn State University’s Cooperative Extension program, where her goal was emphasizing the importance of out-of-the-classroom opportunities for adolescents, particularly in the area of 4-H.
She later continued her work with 4-H at Cornell University, where she served New York’s 56 counties as the state director for 4-H youth development. Through her work, Adams-Bass began to discover that there was a noticeable lack of culturally inclusive materials that were available to use for teaching the 4-H curriculum. According to Adams-Bass, after-school programs are an invaluable setting, particularly in diverse and low-income communities. At Penn, Adams-Bass’s dissertation work focused on negative media stereotypes, a topic that was also partly informed by previous experiences she had working in Namibia and South Africa. Adams-Bass spent a year in Namibia as a fellow at a teacher’s training college. In Durban, South Africa, Adams-Bass studied culture communication and media studies at the University of KwaZulu Natal. 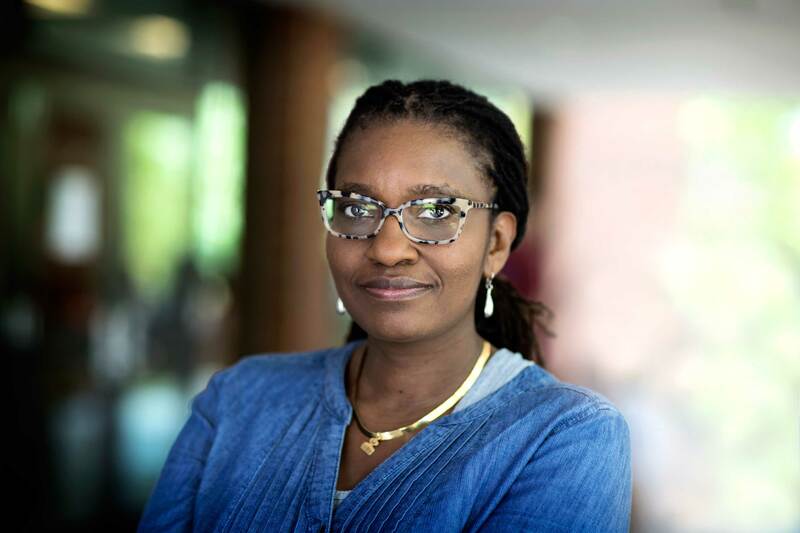 The issues of race and identity among African-American adolescents remain a topic Adams-Bass intends to explore in more depth as she takes on her new role at UVA.